African Authors | Welcome to the Literature 360! Noureddine Aba (1921–1996), playwright & poet. Ferhat Abbas (1899–1995), political leader & essayist. Wasini al-A’raj (1954–), novelist & short story writer. Malek Alloula (1937–), poet & critic. Djamal Amrani (1935–2005), poet & essayist. Marguerite Taos Amrouche (1913–1976), writer & singer. Maya Arriz Tamza (1957– ), storyteller, novelist & playwright. Azouz Begag (1957–), social scientist & novelist. Rabah Belamri (1946–1995), poet, short story writer & critic. Myriam Ben (1928–2001), novelist, poet & activist. Abdelhamid Ben Hadouga (1928–1996), novelist & short story writer. Réda Bensmaia, novelist & critic. Albert Bensoussan, novelist, translator & academic. Fatiha Berezak, poet & performer. Aïcha Bouabaci, poet & short story writer. Rachid Boudjedra (1941–), writer & educator. Hocine Bouzaher (1935–), poet, politician & editor. Albert Camus (1913–1960), author, philosopher & journalist. Hélène Cixous (1937–), feminist writer & critic. Djamila Debeche (1926–), novelist & essayist. Mohammed Dib (1920–2003), novelist & poet. Tahar Djaout (1954–1993), journalist, poet & fiction writer. Assia Djebar (1936–), Francophone writer, film-maker & academic. Frantz Fanon, originally from Martinique (1925–1961), psychiatrist, philosopher & political theorist. Achour Fenni, poet & academic. Touati Fettouma (1950–), Francophone novelist of the Maghreb. Malek Haddad (1927–1978), novelist & poet. Mouloud Mammeri (1917–1989), Kabyle writer, anthropologist & linguist. Latifa Ben Mansour (1950–), writer & linguist. Rachid Mimouni (1945–1995), writer, teacher & activist. Mohammed Ould Cheikh (1905–1938), poet & novelist. Kateb Yacine (1929–1989), novelist & playwright. José Eduardo Agualusa (1960–), journalist & writer. Mendes de Carvalho, writing as Uanhenga Xitu, politician & Africanist writer in Portuguese & Kimbundu. Lopito Feijóo (1963–), writer, poet. António Jacinto (1924–1991), poet & political activist. Sousa Jamba (1966–), Anglophone journalist & novelist. Luis K&jimbo (1960–), essayist & critic. Dia Kassembe (1946–), Francophone writer & novelist. Alda Lara (1930–1962), writer, poet. João Maimona (1955–), poet & essayist. Manuel Rui Monteiro (1941–), writer, poet. Agostinho Neto (1922–1979), writer poet. Ondjaki (1977–), poet, novelist & dramatist. José Lu&ino Vieira (1935–), short-story writer & novelist. Galesiti Baruti, novelist & academic. Unity Dow (born 1959), judge, human rights activist & writer. Bessie Head (1937—1986), novelist & short-story writer born in South Africa. Leetile Disang Raditladi (1910–1971), playwright & poet. Barolong Seboni (born 1957), poet & academic. Stanislas Adotevi (1934–), French-language academic & philosopher. Barbara Akplogan (1984 –), French-language writer. Julien Alapini (1906–1971), ethnographer & playwright. Francis Aupiais (1877–1945), French-born missionary & anthropologist. Olympe Bhêly-Quenum (1928 –), writer & journalist. Florent Couao-Zotti (1964), novelist,writer of comics, plays & short stories. Gisèle Hountondji (1954–), French-language novelist. Paulin J. Hountondji (1942–), philosopher & politician. Paulin Joachim (1931–), poet, journalist & editor. Hortense Mayaba, French-language novelist & children’s writer. José Pliva (1966–), actor & playwright. Jean Pliya (1931–), playwright & short story writer. Angèle Bassolé-Ouédraogo (1967–), French-language poet. François Djobi Bassolet (d. 2001), journalist, historian, & cultural leader. Jacques Prosper Bazié (born 1955), poet. Nazi Boni (1909–1969), politician & writer. Augustin-Sondé Coulibaly (1933–), French-language novelist, poet & critic. Bernadette Sanou Dao (1952–), politician, poet & children’s writer. D. Jean Pierre Guingané (1947–), playwright, actor & director. Ignace Ansomwin Hien (1952–), novelist, poet & storywriter. Sophie Heidi Kam (1968–), French-language poet, playwright & novelist. S&ra Pierrette Kanzié, French-language poet. Joseph Ki-Zerbo (1922–2006), politician & writer. Amadou Koné (1953–), novelist, playwright & short story writer. Honorine Mare (1972–), French-language poet & academic. Roger Nikiéma (c.1935–), French-language journalist, novelist & poet. Kollin Noaga, pseudonym of Ernest Nongma Ouedraogo, politician, novelist & playwright. Titinga Frédéric Pacéré (1943–), museum curator & French-language writer. Maxime Z. Somé (1959–), academic, politician & novelist. Norbert Zongo (1949–1988), journalist & novelist. Severin Cecile Abega (1955–2008), French-language fiction writer & anthropologist, author of Les Bimanes, Le Bourreau & Entre Terre et Ciel. Marie-Therese Assiga Ah&a, chemist & novelist. Paul-Charles Atangana (1930–), French-language poet. Philomène Bassek (1957–), French-language novelist, author of La Tache de Sang. Francis Bebey (1929–2001), author of Les Trois Petits Cireurs, Agatha Moudio’son, The Ashanti Doll, Enfant Pluie & Ministre et le Griot. Bate Besong (1954–), writer, poet. Mongo Beti (pseudonym of Alex&re Biyidi Awala) (1932–2001), novelist writing in French. Calixthe Beyala (1961–), novelist writing in French. Jacques Bonjawo (1960–), software engineer & columnist. Fern&o d’Almeida (1955–), journalist & poet. Mbella Sonne Dipoko (1936–), English-language novelist, poet & painter. Samuel-Martin Eno Belinga (1935–), poet, geologist & civil servant. Alexis Maxime Feyou de Happy, French-language playwright, author of Conscience Ouverte (1974), Dithy (2002), Fairy Tales from Propagamar (2006), Victus Libri/Classic African Art (2008), Les Mezzotiniales (2009), Bodanou le Petit Oiseau Rouge (2010), & La Septieme Colonne/L’Ombre de Meridor (2010). Joseph Feyou de Happy (1921–), French-language politician & historian, author of L’esprit des lois grassfields. Patrice Kayo (1942–), poet, short story writer & oral storyteller. Werewere Liking (1950–), novelist also associated with Côte d’Ivoire. Jeanne Ngo Mai (1933–), French-language poet. Claude-Joseph M’Bafou-Zetebeg (1948–), French-language poet. Achille Mbembe (1957–), political philosopher. Rémy Sylvestre Medou Mvomo (1938–), novelist & playwright. Evelyne Mpoudi Ngole (1953–), French-language novelist, author of Sous La Cendre Le Feu & Petit Jo, Enfant Des Rues. Engelbert Mveng (1930–), French-language poet, author of Balafon. Bill F. NDI (1964–), English-language poet & playwright, author of K’cracy, Trees in the Storm & Other Poems, Mishaps & Other Poems, Toils & Travails, & Gods in the Ivory Towers. David Ndachi Tagne (1958–), novelist & journalist. Joseph Owono (1921–1981), novelist & diplomat. René Philombe, pseudonym of Philippe-Louis Ombede (1930–2001), novelist & editor. Francois Sengat-Kuo (1931–), French-language poet, author of Fleurs de Laterite, Heures rouges, & Collier de Cauris. Elolongué Epanya Yondo (1930–), poet in French & Duala. Delphine Zanga Tsogo (1935–), feminist & writer. Baltasar Lopes da Silva (1907–1989), writer. Germano Almeida (1945- ), writer. Ivone Ramos: (1926- ), writer. João Cleófas Martins (1901–1970), writer. Manuel de Novas (1938- ), writer. Orl&a Amarilis (1924 –), writer. Yol&a Morazzo (1928- ), writer. Pierre Makombo Bamboté (1932–), novelist & poet. Etienne Goyémidé (1942–), novelist, poet & short story writer: Le Silence de la Foret. Cyriaque Robert Yavoucko (1953–), novelist. Marie-Christine Koundja (1957–), novelist & diplomat. Koulsy Lamko (1959–), playwright, poet, novelist & university lecturer. Joseph Brahim Seid (1927–1980), writer & politician. Ali Abdel-Rhamane Haggar (1960–), economist & writer. Khayar Oumar Defallah (c.1944–), politician & autobiographical writer. Alain Mabanckou (1966– ), writer. Tchicaya U Tam’si (1931–1988), writer. Jeannette Balou Tchichelle (1947–), writer. Léonie Abo, (1945–), autobiographical writer. J’ongungu Lokolé Bolamba (1913–1990), poet. Raïs Neza Boneza (1979–), poet & peace researcher. Amba Bongo, writer & advocate for refugees. Charles Djungu-Simba Kamatenda (1953–), journalist, teacher, publisher, & writer. Buabua wa Kayembe Mubadiate (1950–), playwright. Kama Sywor Kam&a (1952–), writer & poet. Maguy Kabamba (1960–), writer & translator. V. Y. Mudimbe (1941–), philosopher, academic & author. Sony Labou Tansi (1947–1995), novelist & poet. Frederick Kambemba Yamusangie, novelist, playwright & poet. Lye M. Yoka, playwright & short story writer. Waberi Abdourahman (1965–), novelist, poet & academic. Mouna-Hodan Ahmed (1972–), French-language novelist. Fekry Pasha Abaza (1896–1979), writer. Tawfik El Hakim (1898–1987), playwright writer. Muhammad Husayn Haykal (1909–1956), writer. Abo El Seoud El Ebiary (1910–1969), writer. Naguib Mahfouz, (1911–2006), novelist, short story writer & playwright awarded the 1988 Nobel Prize in Literature. &rée Chedid (1920–2011), poet & novelist. Fathy Ghanem (1924–1998), novelist, journalist & editor. Mohammad Moustafa Haddara (1930–1997), writer. Nawâl El Saadâwi (1931–), feminist writer & activist. Abdel Rahman El Abnudi (1938–), writer. Leila Ahmed (1940– ), writer. Gamal Al-Ghitani (1945– ), writer. Ahdaf Soueif (1950– ), writer. Salama Ahmed Salama, journalist & author. Muhammad Aladdin, novelist, short story writer & script writer. María Nsué Angüe (1945–), novelist & writer. Juan Balboa Boneke (1938–), politician & writer. Raquel Ilonbé (1938–1992), Spanish-language writer. Juan Tomás Ávila Laurel (1966– ), Annobonese writer. Donato Ndongo-Bidyogo (1950– ), writer & journalist. Reesom Haile (2003- ), Tigrinya-language poet. Michael Daniel Ambatchew (1967–), writer. Āfawarq Gabra Iyasus (1868–1947), writer. Nega Mezlekia (1958– ), writer. Sahle Selassie (1936– ), writer. Hama Tuma (1949– ), writer. Jean-Baptiste Abessolo (1932–), educator & short story writer. Bessora (born in Belgium) (1968–), novelist & short story writer. Rene Maran, born near Martinique (1887–1960), poet & novelist. Chantal Magalie Mbazoo-Kassa, French-language poet & novelist. Justine Mintsa (1967–), French-language novelist. Maurice Okoumba-Nkoghe (1954–), poet & teacher. Conton, William (1925–), educator, historian & novelist also associated with Sierra Leone. Grey-Johnson, Nana (1951 –), writer, playwright. Peters, Lenrie (1932–), poet & novelist also associated with Sierra Leone. Sallah, Tijan M. (1958–), writer poet. Ben Hinson,novelist, poet, playwright, director, actor & screenwriter. Joseph Wilfred Abruquah (1921–), novelist. Kobina Eyi Acquah (1952–), poet. Ama Ata Aidoo (1940–), playwright, poet, fiction writer & critic. Mohammed Naseehu Ali, short story & non-ficton writer. Kofi Anyidoho (1947–), poet & academic. Anthony Appiah (1954–), philosopher, cultural theorist & novelist. Ayertey Isaac, Pan-Africanist & AuthorAyi Kwei Armah (1939– ), novelist. T. Q. Armar (1915–2000), publisher & textbook writer. Meshack Asare (1945–), children’s writer. Yaw Asare (1953–2002), dramatist & director. Kofi Awoonor (1935–), poet, novelist & critic. Mohammed Ben-Abdallah (1944 –), playwright. J. Benibengor Blay (1915–), popular novelist, playwright & poet. Yaw M. Boateng (1950– ), novelist & playwright. Kwesi Brew (1928– ), writer, poet. Nana Brew-Hammond, journalist, poet, playwright & screenwriter. Margaret Busby, publisher & dramatist. Abena Busia (1953– ), poet & academic. Akosua Busia (1966– ), actress, novelist & screenwriter. Jacobus Capitein (1717–1747), minister & writer on slavery. Adelaide Smith Casely-Hayford (1868–1960), short story writer & educator. J.E. Casely-Hayford (1866–1930), politician & novelist. Quobna Ottobah Cugoano (1757?–1801? ), freed slave & autobiographer. J. B. Danquah (1895–1965), scholar, lawyer & politician. Joe de Graft (1924–1978), playwright & poet. Michael Dei-Anang (1909–1977), poet, playwright & novelist. Amu Djoleto (1929– ), novelist, poet & educator. Cameron Duodo (1937– ), journalist, novelist & poet. Ferdin& Kwasi Fiawoo (1891–1969), playwright. B. Kojo Laing (1946– ), novelist & poet. Bill Okyere Marshall (1936– ), playwright & novelist. Kwame Nkrumah (1909–1972), politician & political theorist. Nii Ayikwei Parkes (1974– ), writer, poet. Carl Christian Reindorf (1834–1917), pastor & historian. Kobina Sekyi (1892–1956), politician & writer. Efua Theodora Sutherl& (1924–1996 ), playwright. Asiedu Yirenkyi (1946– ), writer, playwright. Amílcar Cabral (1924–1973), agronomist, writer & politician. Marguerite Abouet, born in Abidjan (1971–), writer of graphic novels. Angèle Bassolé-Ouédraogo, also connected with Burkina Faso (1967–), poet & journalist. Tanella Boni, poet & novelist. Micheline Coulibaly, born in Vietnam (1950–2003), short story writer & writer for children. Bernard Binlin Dadié (1916–), novelist, playwright, poet & politician. Henriette Diabate (1935- ), politician & writer. Richard Dogbeh, also connected with Benin, Senegal & Togo (1932–2003), novelist & educator. Werewere-Liking Gnepo, also connected with Cameroon (1950–), writer, playwright & performer. Gilbert G. Groud (1956- ), painter, illustrator & author. Adjoua Flore Kouame (1964–), novelist. Véronique Tadjo (1955–), poet, novelist & artist. Jared Angira (1947- ), writer, poet. Khadambi Asalache (1934–), poet & writer. Rocha Chimera, Swahili writer & critic. Elspeth Huxley (1907–1997), journalist & autobiographical writer. Philo Ikonya, poet & human rights activist. Francis Imbuga (1947- ), director & playwright. Samuel Kahiga, short story writer & novelist. Jomo Kenyatta (1892?–1978), politician & writer. Leonard Kibera (1942–1983). Novelist & short story writer. Muthoni Likimani (1926- ), writer. Marjorie Oludhe Macgoye (1928–), novelist, essayist & poet. Ali A. Mazrui (1933– ), academic & political writer. Micere Mugo (1942–), playwright, academic & poet. Wahome Mutahi (−2003), satirical journalist. Joseph Muthee (1928–), Kikuyu writer. Rebecca N&WA, Swahili children’s writer. Ngugi wa Mirii (1951– ), writer, playwright. Ngũgĩ wa Thiong’o (1938– ), English-language & Gikuyu writer. Rebeka Njau (1932- ), novelist, playwright & poet. Chacha Nyaigotti-Chacha (1952– ), writer, playwright. Oginga Odinga (1912–1994), writer, philosopher & politician. Shailja Patel, poet, playwright & activist. Mwangi Ruheni (born 1934), scientist & popular novelist. M. G. Vassanji (1950– ), novelist & editor. Koigi wa Wamwere (1949– ), politician & writer. Wangui Wa Goro, academic & translator. Gakaara Wanjau (1921–2001), writer & Kikuyu nationalist. Miriam Were (1940– ), public health advocate, academic & novelist. Thomas Mofolo (1876–1948), Basotho author. A. S. Mopeli-Paulus (1913–1960), Sethoso & English-language author. Edwin Barclay (1882–1955), politician & writer. Edward Wilmot Blyden (1832–1912), born in the Virgin Isl&s (see also Sierra Leone), educator, writer, diplomat & politician. Wilton G. S. Sankawulo (1937–2009), politician & author. Bai T. Moore (1916–), poet, novelist, folklorist & essayist. Sadiq Al-Nayhum (1937–1994), Islamic writer, critic & journalist. FKhalifa al-Fakhri, short story writer. Ahmad Ibrahim al-Faqih (1942–), novelist. Muammar al-Gaddafi (1942–2011), politician & occasional novelist. Elie-Charles Abraham (1919–), writer, poet. David Jaomanoro (1953–), poet, short story writer & playwright. Esther Nirina (1932–), writer, poet. Hajasoa Vololona Picard-Ravololonirina (1956–),, academic, politician & poet. Jean-Joseph Rabearivelo (1903–1937), poet & novelist. Jacques Rabémanajara (1913–), poet, playwright & politician. Raymond William Rabemananjara (1913–), historian & writer. Elie Rajaonarison (1951–2010), writer, poet. Jean-Luc Raharimanana (1967–), French-language writer. Michèle Rakotoson (1948–), novelist, short story writer & playwright. Flavien Ranaivo (1914–), poet & writer. Steven Chimombo (1945–), writer, poet, editor & teacher. Frank Chipasula (1949–), writer, editor & academic. Aubrey Kachingwe (1926–), novelist & short story writer. William Kamkwamba (1987–), inventor & author. Chris Kamlongera, playwright & University of Malawi academic. Stanley Onjezani Kenani (1976–), poet. Ken Lipenga (1954–), politician, journalist & writer. Ben Wokomaatani Malunga (1962- ), poet & broadcaster. Jack Mapanje (1944–), writer & poet. Felix Mnthali (1933–), poet, novelist & playwright. Anthony Nazombe (1955–2004), poet & academic. D.D.Phiri (Desmond Dudwa Phiri), economist, historian & playwright. David Rubadiri (1930–), diplomat, academic & poet. Paul Tiyambe Zeleza (1955–), historian, critic & writer. Ahmad Baba al Massufi (1556–1627), writer and scholar. Abdoulaye Ascofaré (1949–), poet and filmmaker. Adame Ba Konaré (1947–), historian and writer. Seydou Badian Kouyaté (1928–), novelist and politician. Oumou Diarra (1967–), writer born in Yugoslavia. Doumbi Fakoly (1944–), non-fiction writer. Moussa Konaté (1951–), French-language writer. Bernadette Sanou Dao (1952–), author and politician. Fanta-Taga Tembely (1946–), French-language novelist. Aminata Traoré (1942–), author, politician and political activist. Ahmad ibn al-Amin al-Shinqiti (1872–1913), Arabic-language writer. Amadou Oumar Bâ (1917–), writer, poet. Ibn Razqa (died 1144 AH/1731 AD), poet and scholar. Moussa Diagana (1946–), French-language writer. Moussa Ould Ebnou, French-language novelist. Mohammed al-Shankiti (1907–1973, Islamic scholar. Richard Sedley Assonne (1961–), Francophone journalist and poet. Lindsey Collen (1948–), novelist and activist also associated with South Africa. Carl de Souza (1949–), Francophone novelist. Ananda Devi (1957–), Francophone novelist and poet. Jacques Edouard (1964–), Francophone journalist, poet and writer. Stefan Hart De Keating (1971–), Francophone slam poet. J. M. G. Le Clézio (1940–), Francophone writer also associated with France. Yusuf Kadel (1970–), Francophone poet and playwright. Raymonde de Keven (1899–1973), Francophone poet. Edouard Maunick (1931–), Francophone poet, writer, and diplomat. Camille de Rauville (1910–), Francophone writer. Amal Sewtohul (1971–), diplomat and writer in French and Mauritian Creole. Khal Torabully (1956–), Francophone poet. Abhimanyu Unnuth (1937–), Hindi writer. Dev Virahsawmy (1942–), politician and playwright. Leila Abouzeid (born 1950), writer. Mohammed Achaari (born 1951), writer. Said Achtouk (died 1989), writer. Lotfi Akalay (born 1943), writer. Mehdi Akhrif (born 1952), writer. Mohammed ibn Mohammed Alami (1932-1993), writer. Idriss ibn al-Hassan al-Alami (1925-2007), writer. Ahmad al-Tayyeb Aldj (born 1928), writer. Tewfik Allal (born 1947), writer. Najib El Aoufi (born 1948), writer. Robert Assaraf (born 1936), writer. Nabil Ayouch (born 1969), writer. Latifa Baka (born 1964), writer. Ahmed Abdesalam Baqqali (1932-2010), writer. Muriel Barbery (born 1969), writer. Rajae Benchemsi (born 1957), writer. Esther Bendahan (born 1964), writer. Halima Ben Haddou (born 1954), writer. Mohamed Chafik (born 1926), writer. Nadia Chafik (born 1962), writer. Abdelkader Chaoui (born 1950), writer. Driss Ben Hamed Charhadi (1937-1986), writer. Zakya Daoud (born 1937), writer. Najat El Hachmi (born 1979), writer. Youssouf Amine Elalamy (born 1961), writer. Youssef Fadel (b. 1949), writer. Abd al-Aziz al-Ghumari (1920-1997), writer. Mouna Hachim (born 1967), writer. Allal El Hajjam (born 1948), writer. Abdellatif Idrissi (born 1957), writer. Mohammed Abed al-Jabri (1936-2010), writer. Salim Jay (born 1951), writer. Abbas al-Jirari (born 1937), writer. Mohammed Khammar Kanouni (1938-1991), writer. Abdelkebir Khatibi (born 1938), writer. Abdellatif Laabi (born 1942), writer. Abdelrahim Lahbibi (b. 1950), writer. Mohammed Aziz Lahbabi (1922-1993), writer. Laila Lalami (born 1968), writer. Wafaa Lamrani (born 1960), writer. Ahmed al-Madini (born 1949), writer. Edmond Amran El Maleh (1917-2010), writer. Khadija Marouazi (born 1961), writer. Rachid O (born 1970), writer. Salah El-Ouadie (born 1952), writer. Malika Oufkir (born 1953), writer. Bachir Qamari (born 1951), writer. Mubarak Rabi (born 1938), writer. Mohamed Said Raihani (born 1968), writer. Mohammed Sabbag (born 1930), writer. Abdeldjabbar Sahimi (born 1938), writer. Paulina Chiziane (1955–), Portuguese-language novelist and short-story writer. Mia Couto (1955–), novelist and short story writer. José Craveirinha (1922–2003), Portuguese-language poet. Luis Bernardo Honwana (1942–), Portuguese-language short story writer. Ungulani Ba Ka Khosa (1957–), Portuguese-language novelist and short-story writer. Lília Momplé (1935–), Portuguese-language fiction writer. Amélia Muge (1952–), writer and singer. Glória de Santana (1925–), poet. Abdelkarim Tabbal (born 1931), writer. Abdellah Taïa (born 1973), writer. Abdelhadi Tazi (born 1921), writer. Mohammed Azeddine Tazi (1948), writer. Said Yaktine (born 1955), writer. Ali ibn Qasim al-Zaqqaq (died 1506), writer. Dorian Haarhoff (1944–), poet and academic. Giselher Werner Hoffmann (1958–), German-language novelist. Anoeschka von Meck, journalist and Afrikaans language writer. Ide Adamou (1951–), poet and novelist. Ousmane Amadou (1948–), poet, novelist, lawyer and journalist. Djibo Bakary (1922–1998), politician and writer. Andrée Clair, born and died in France (1916–1982), ethnographer and children’s writer. Mahamadou Halilou Sabbo (1937–), novelist and playwright. Boubou Hama (1906–1982), politician and writer. Hawad (1950–), poet who advocates Tuareg independence. Salihu Kwantagora (1929–), songwriter and poet. Hélène Kaziende (1967–), teacher, journalist and short story writer. Oum Ramatou (1970–), French-language novelist. Andre Salifou (1942–), politician, diplomat and academic. Chris Abani (born 1966), novelist, playwright and poet. Chinua Achebe (born 1930), novelist, poet and critic. Catherine Obianuju Acholonu (born 1951), academic. Toyin Adewale-Gabriel (born 1969), poet. Akilu Aliyu (1918–1998), writer, poet. Biyi Bandele (born 1967), writer. A. Igoni Barrett (born 1979), writer. Tubal Rabbi Cain (born 1964), writer. Chin Ce (born 1966), writer. John Pepper Clark (born 1935), writer. Samuel Ajayi Crowther (1809–1891), writer. Jude Dibia (born 1975), writer. Michael Echeruo (born 1937), writer. Buchi Emecheta (born 1944), writer. Olaudah Equiano (c. 1745–97), writer. Rosemary Esehagu (born 1981), writer. Daniel Olorunfemi Fagunwa (1903–1963), writer. Festus Iyayi (born 1947), writer. Abimbola Lagunju (born 1960), writer. Amina Mama (born 1958), writer. Sebastian Okechukwu Mezu (born 1941), writer. John Munonye (born 1929), writer. Uche Nduka (born 1963), writer. Onuora Nzekwu (born 1928), writer. Olu Oguibe (born 1964), writer. Molara Ogundipe (born 1949), writer. Tanure Ojaide (born 1949), writer. Gabriel Okara (born 1921), writer. Ben Okri (born 1959), writer. Kole Omotosho (born 1943), writer. Nduka Onwuegbute (born 1969), writer. Ifeoma Onyefulu (born 1959), writer. Osonye Tess Onwueme (born 1955), writer. Femi Osofisan (born 1946), writer. Niyi Osundare (born 1947), writer. Helen Ovbiagele (born 1944), writer. Mabel Segun (born 1930), writer. Bode Sowande (born 1948), writer. Obiora Udechukwu (born 1946), writer. Adaora Lily Ulasi (born 1932), writer. Mamman Jiya Vatsa (1944–1986), writer. Ken Wiwa (born 1968), writer. Maggy Correa, French-language autobiographical writer. Edouard Gasarabwe (1938–), novelist and folklorist. Alexis Kagame (1912–1981), priest, scholar, and writer. Yolande Mukagasana (1954–), French-language autobiographical writer. J. Savério Nayigiziki (1915–1984), educator, interpreter and writer. Benjamin Sehene (1959–), novelist and non-fiction writer. Marie Béatrice Umutesi (1959–), French-language autobiographical writer. Sara Pinto Coelho (1913–1990), fiction writer and playwright. Conceição Lima (1962–), Portuguese-language poet. Caetano da Costa Alegre (1864–1890), Portuguese-language poet. M. Manuela Margarido (1925–2007), Portuguese-language poet. Alda do Espírito Santo (1926–), Portuguese-language poet. Antoine Abel (1934–), poet and fable writer. Ishmael Beah (1980–), child soldier and memoirist. Adelaide Casely-Hayford (1868–1960), short story writer and educator. Gladys Casely-Hayford (1904–1950), poet also associated with Ghana. Syl Cheney-Coker (1945/47–), poet, journalist and novelist. William Conton (1925–), educator, historian, and novelist also associated with The Gambia. R. Sarif Easmon (1913–), doctor, playwright and novelist. Aminatta Forna (1964–), memoirist and novelist. Yulisa Amadu Maddy (1936–), playwright, novelist, and choreographer. Ahmed Ali Farah “Idaajaa”, writer, journalist & archiver. Abdihakin Adan “Irday” , writer. Ahmed Sheikh Ali “Burale”, writer. Ahmed Ismail Mahamud “Ahmed Deeq”, writer. Axmed Nuur Maxamuud Cumar Hindi, writer. Ahmed Sheikh Ali Burale, writer. Abdikadir Osman Mohamud “Aroma”, writer. Prof. Ahmed Ismail Samatar, writer. Abdulkadir Nur Salad “Fiisiko”, writer. Ahmed Farah Ali “Idaajaa), writer. 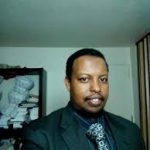 Dr. Abdirahman A. Noor, “56 Laws of Leadership”, writer. Prof Abdalla Omar Mansur, writer. 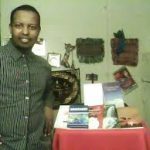 Abdibashir Ali 3 books, writer. Dr. Abdullahi Sheikh Hussein, writer. 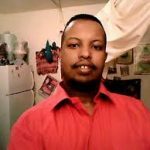 Abdiasis Hassan Yaqub, , writer. Sheikh Abdikdir Abdille Dini, writer. Prof. Abdalla Omar Mansur,, writer. Abdullahi Mo’allim Mohamud “Quraanjo Aruurtay Bulac waa jiidaa”, writer. Farah Mohamed Jama Awil, writer. Khalif Ali Guul Warsame, writer. Prof. Mohamud Mo’allim Ali (Tuuryare), writer. 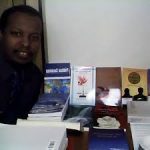 Mohamed Farah Abdi “Duurgal”, writer. Mukhtar Abdi Sheikh “Balshaawi”, writer. Dr. Mohamed Hadi Ahmed, writer. 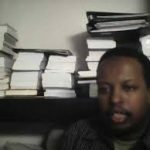 Mohamed Hersi Guled “Abdibashir”, writer. Mohamed Ali Hassan “Layliska Af-Soomaaliga”, writer. Muse Mohamed Isse 1 book “Dalmar”, writer. Mohamed Ismail Mohamed (Sibed), writer. Dr. Maryan Kasim Arif, writer. Prof. Mohamed Sheikh Osman, writer. Mohamed Du’ale 1 book “Somali Proverbs”, writer. Dr. Qasim Hirsi Farah, writer. O. Hirse Adam “Interpreter’s Book”, writer. Prof. Said Sheikh Samatar, writer. Yusuf Osman Abduule (Shaacir) , writer. 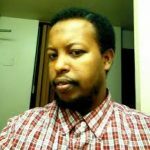 Yusuf H. Abdullahi Hassan, writer. Azaria Gilo Emilio, writer & geologist. Ra’ouf Mus’ad, also connected with Egypt (1937 – ), writer. Tayeb Salih (1929 – 2009), writer. Mahjoub Omer Bashary, (1925 – 2008), Translator, writer and journalist. Al-ssadiq Al-raddi (1969 – ), poet, writer. Abed Elrahim Abu Zakrra (1943 – 1989), poet, writer. Gely Abdel Rahman (Gaili) (1933 – 1990), poet, writer. Ibrahim ‘Ali Salman (1937 – 1995), poet, writer. Mohammed Abed Elhai, (1944 – 1989), poet, writer. Mohammed Moftahh Elfitory, also connected to Libyapoet, writer. Muhammad Ahmad Mahgoub (1908 – 1976), poet, writer. Bushra Elfadil (1952- ), poet, writer. Abdel Khaliq Mahjub (-1971), writer. Fatima Ahmed Ibrahim (1933- ), writer. Sadiq al-Mahdi (1936- ), writer. Modison Salayedvwa Magagula (1958–), writer, playwright. Stanley Musa N. Matsebula (1958), writer, economist and writer. Elias Adam Bateng Mkhonta (1954–2001), novelist. Sarah Mkhonza (1957–), novelist, short story writer and journalist. Gladys Lomafu Pato, short story writer. Agoro Anduru (1948–1992), short story writer. Prof. Joseph Mbele. Novelist, poet and scholar. Mark Behr (1963–), fiction writer also connected with South Africa. Chachage Seithy Chachage (–2006), sociologist and Swahili novelist. Abdulrazak Gurnah (1948–), novelist and critic. Ebrahim N. Hussein (1943–), playwright, essayist, poet and translator. Euphrase Kezilahabi (1944–), novelist, poet and scholar. Amandina Lihamba (1944–), writer, playwright. Sandra A. Mushi, writer, poet. Elvis Musiba (–2010), trader and Swahili novelist. Julius Nyerere (1922–1999), writer and politician. Gad Ami (1958– ), French-language novelist. Félix Couchoro (1900–1968), novelist, also connected with Benin. Richard Dogbeh, also connected with Benin, Senegal and Côte d’Ivoire (1932–2003), novelist and educator. Kossi Efoui (1962–), writer, playwright. Emilie Anifranie Ehah, writer, also connected with Senegal. Christiane Akoua Ekue (1954–), French-language novelist. Alemdjrodo Kangni (1966–), writer, playwright. Jeannette D. Ahonsou (1954–), novelist. Hachemi Baccouche (1916–2008), novelist and essayist. Tahar Bekri (1951–), poet in French and Arabic. Rafik Ben Salah (1948–), novelist. Claude Bénady (1922–), writer, poet. Slaheddine Bhiri (1947–), novelist and poet. Hédi Bouraoui (1932–), poet, novelist and academic. Aboul-Qacem Echebbi (1909–1934), writer, poet. Salah Garmadi (1933–1982), linguist writer and poet. Gisèle Halimi (1927–), lawyer, feminist activist and essayist. Ibn Khaldoun (1332–1406), writer, polymath. Muhyi al-Din Khrayyif (1932–), writer, poet. ‘Izz al-Dīn al-Madanī (1938–), playwright and short story writer. Albert Memmi (1920–), sociologist, novelist and essayist. Mohamed Moncef Metoui (1943–), playwright, director and novelist. Chams Nadir (1949–), novelist and short story writer. Youssef Rzouga (1957–), writer, poet. Amina Saïd (1953–), writer, poet. Walid Soliman (1975–), writer, essayist and translator. Mustapha Tlili (1937–), novelist and academic. Monica Arac de Nyeko (1979–), short story writer, poet and essayist. Doreen Baingana, short story writer. Austin Bukenya (1944- ), poet, literary theorist, actor and playwright. Catherine Samali Kavuma (1960–), novelist. Henry Kyemba (1939–), politician and writer. Jane Musoke-Nteyafas (c.1976 –), poet and writer. Mahmood Mamdani (1933–), academic and political writer. John Nagenda (1938–), writer and presidential adviser. Peter Nazareth (1940–), novelist, playwright, poet and critic. Richard Carl Ntiru (1946), writer, poet. Julius Ocwinyo (1961–), editor, poet and novelist. Okello Oculi (1942–), novelist, poet and academic. Okot p’Bitek (1931–1982), writer, poet. Robert Serumaga (1939–1980), writer, playwright, director and novelist. Taban Lo Liyong (1939- ), Sudan-born poet and critic. Bahadur Tejani (1942- ), writer. Poet, dramatist and literary critic. Elvania Namukwaya Zirimu (1938–1979), writer. Pio Zirimu (died 1977), linguistic writer and literary theorist. Mohamed Fadel Ismail Ould Es-Sweyih (1958–2002), writer, journalist and politician. Ahmed Baba Miské, writer, diplomat and politician. Chibamba Kanyama, business writer and journalist. Andreya Sylvester Masiye (1922–), novelist and diplomat. Charles Mwewa, poet and non-fiction writer. Keith Nalumango (1952–), novelist and former head of programming at the Zambia National Broadcasting Corporation. N. H. Brettell (1908–1991), writer, poet. Paul Chidyausiku (1929–), writer and preacher. Bernard Chidzero (1927–2002), novelist and economist. Samuel Chimsoro (1949–), novelist and poet. Shimmer Chinodya (1957–), poet, short story writer, novelist, and textbook writer. Raymond Choto (1962–), novelist and journalist. A. S. Cripps (1869–1952), short story writer. Poet and priest. John Eppel (1947–), novelist, poet and short story writer. Chenjerai Hove (1956–), novelist, poet, critic and editor. Adin Kachisi, science fiction writer and poet. Doris Lessing, born in Persia (now Iran) (1919–), novelist and short story writer. Ignatius Tirivangani Mabasa (1971–), poet and novelist. Nevanji Madanhire (1961–), novelist and editor of the Zimbabwe Standard. Wiseman Magwa (1962–), writer, playwright. John Marangwanda (1923–), Shona novelist. Nozipa Maraire (1966–), doctor and writer. Timothy O. McLoughlin (1937–), novelist, poet and editor. Cont Mhlanga, playwright, actor and theatre director. S. O. Mlilo (1924–1995), Ndebele novelist. Aaron Chiwundura Moyo (1959–), novelist and playwright. George Mujajati (1957–), writer, playwright and novelist. Charles Mungoshi (1947–), writer and editor. Solomon Mutswairo (1924–), novelist and poet. Emmanuel Ngara (1947–), writer and academic. Mthandazo Ndema Ngwenya (1949–1992), novelist, radio playwright and poet. Stanley Nyamfukudza (1951–), novelist and short story writer. Freedom Nyamubaya (1958–), writer, poet. Kristina Rungano (1963–), the first published woman poet in Zimbabwe. Stanlake Samkange (1922–1988), historian and novelist. Ben Sibenke (1945–), writer, playwright. Ndabezinhle S. Sigogo (1932–2006), novelist and editor. Ndabaningi Sithole (1922–2000), historian, politician, and novelist. Alexander McCall Smith, also connected with Botswana (1948–), lawyer and novelist. T. K. Tsodzo / Thompson K. Tsodzo (1947–), novelist. Yvonne Vera, also connected with Canada (1964–2005), novelist, short story writer and editor. Paul Tiyambe Zeleza (1955–), historian, critic, novelist and short story writer. Musaemura Zimunya (1949–), poet, critic and short story writer.